Prep for warmer days. 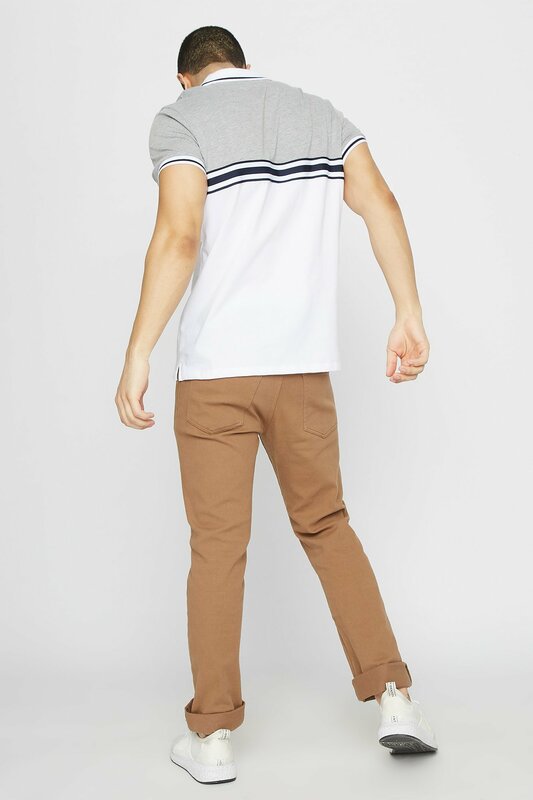 Get a crisp look with this polo tee by pairing with chinos. Features collar, henley neckline, short sleeves and contrast stripe taping. Chest: 34" Length: 27.5" Sleeve: 7.5"